Ménage à Soul is home to to soulful music in all different styles. Under its roof you will find Popcorn and RnB, Northern Soul and Funk, Boogaloo and Yeye, Beat and Ska, Latin and Jazz. All this wonderful music we love is strictly played from vinyl. 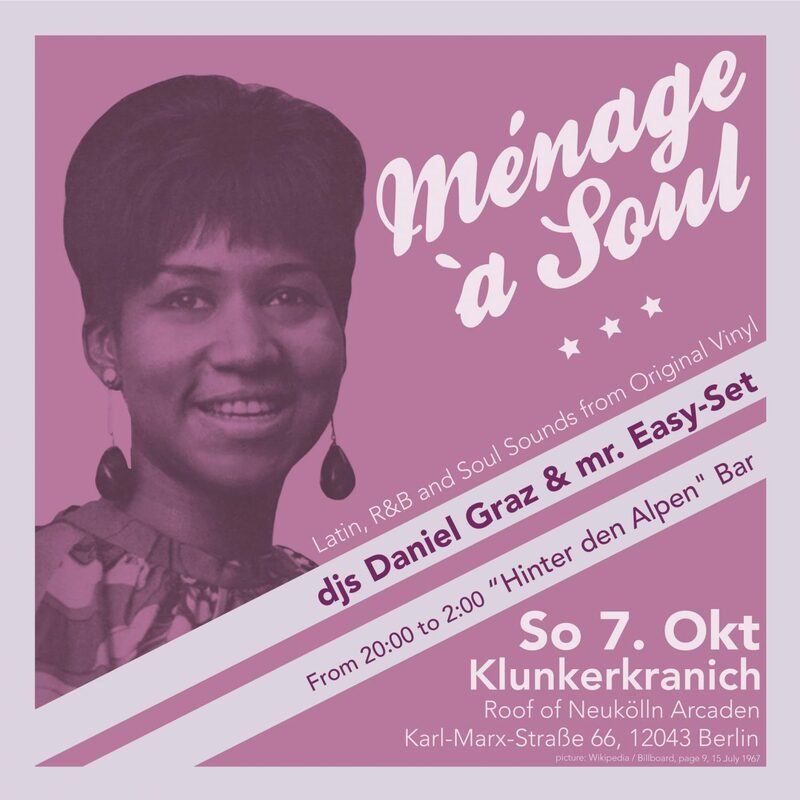 It’s the soulful way to dance in Berlin. See you there! Put on your dancing shoes and swing your hips!